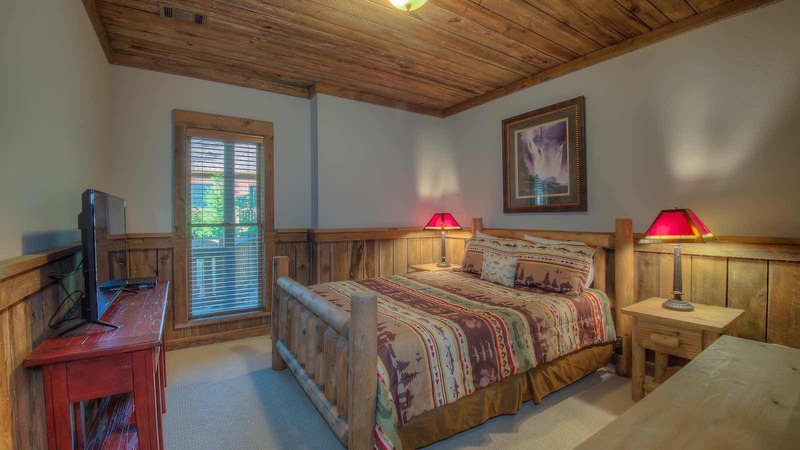 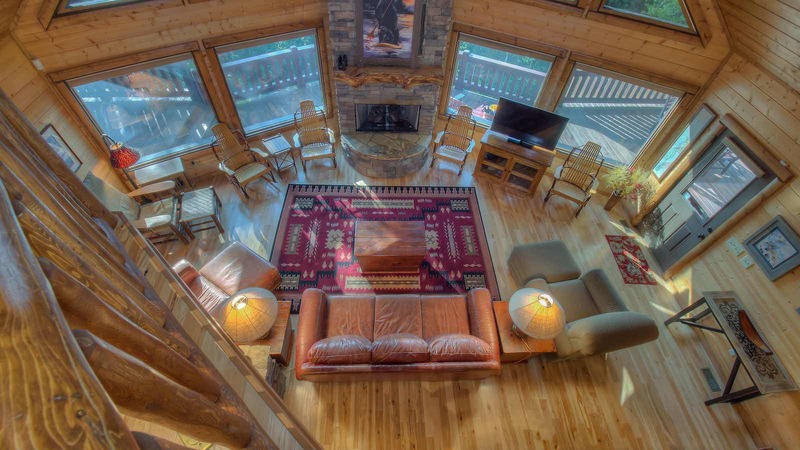 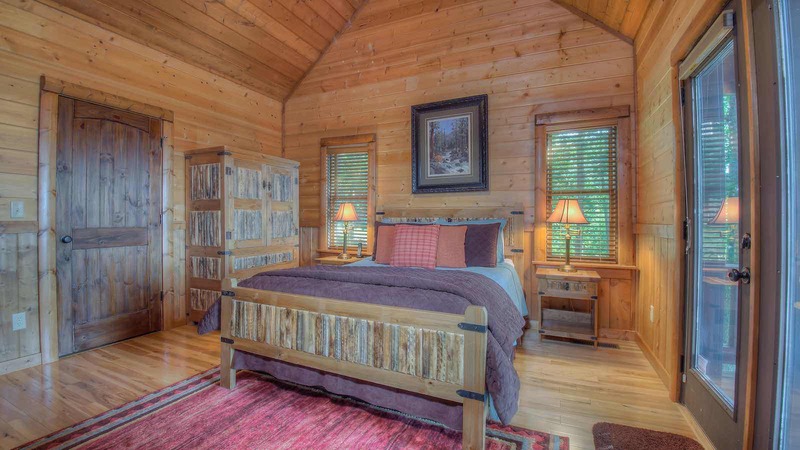 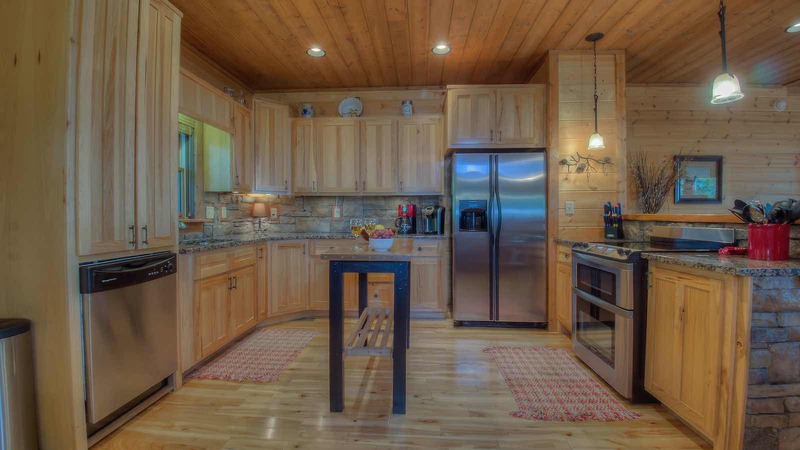 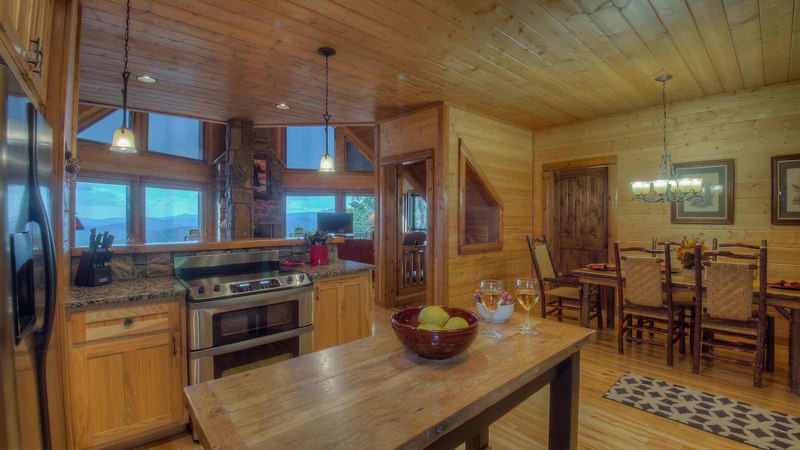 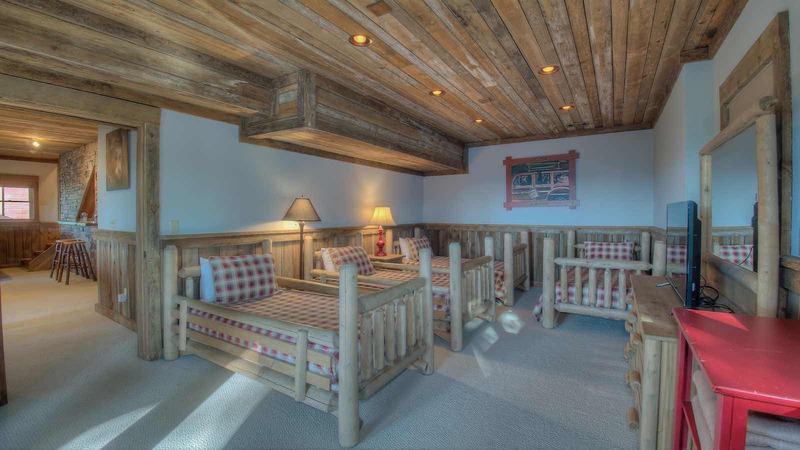 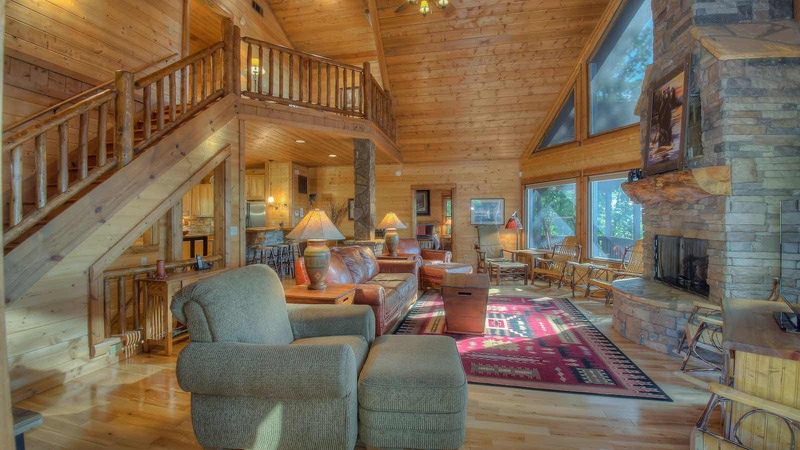 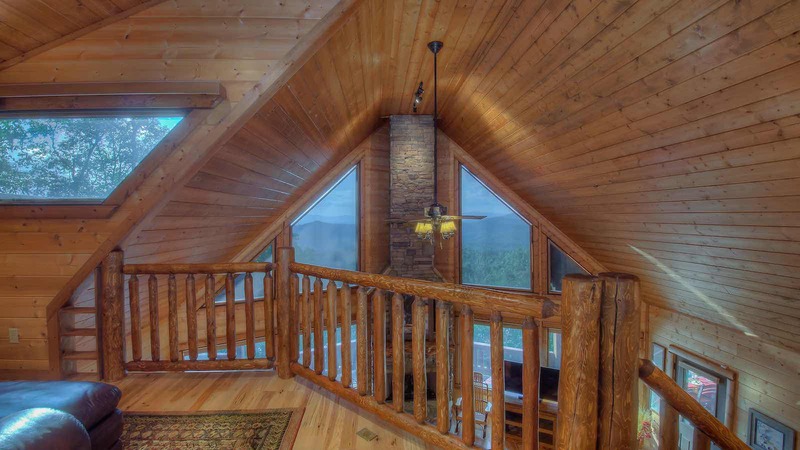 Looking for a big, gorgeous, mountain view cabin with the conveience of all paved roads? 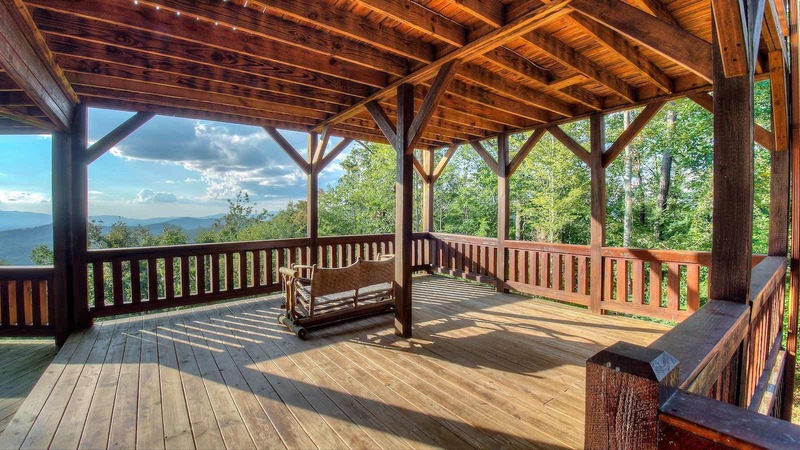 Scenic Solitude is the property you've been searching for! 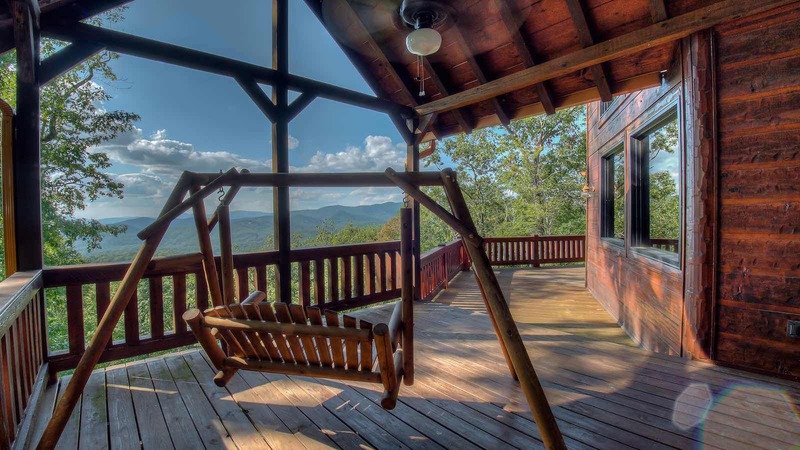 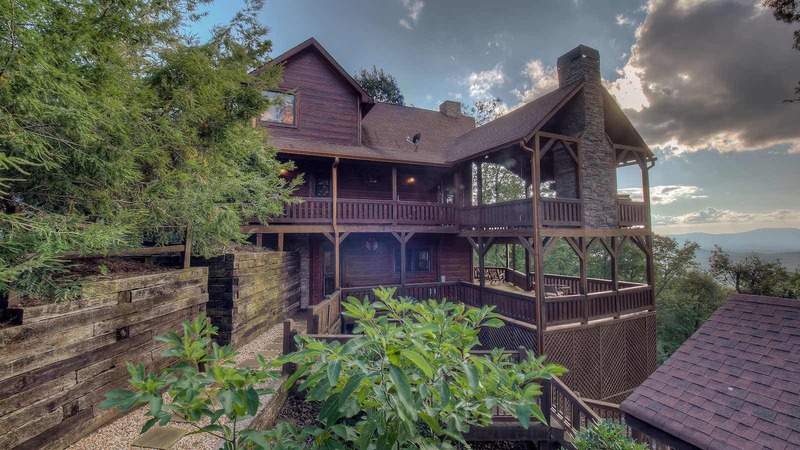 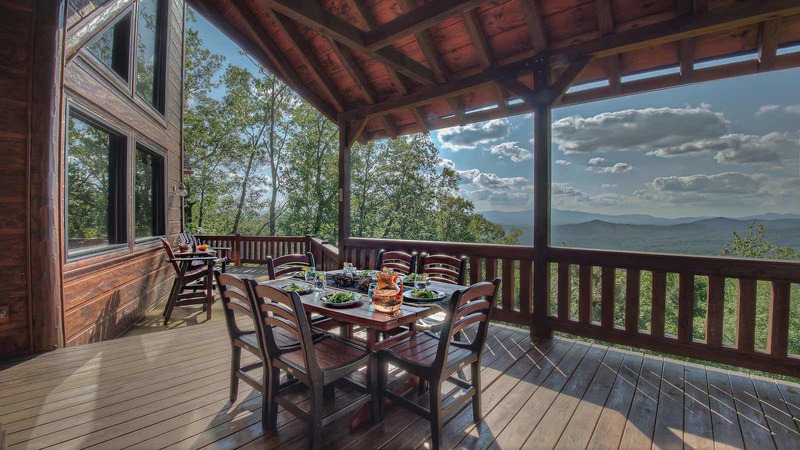 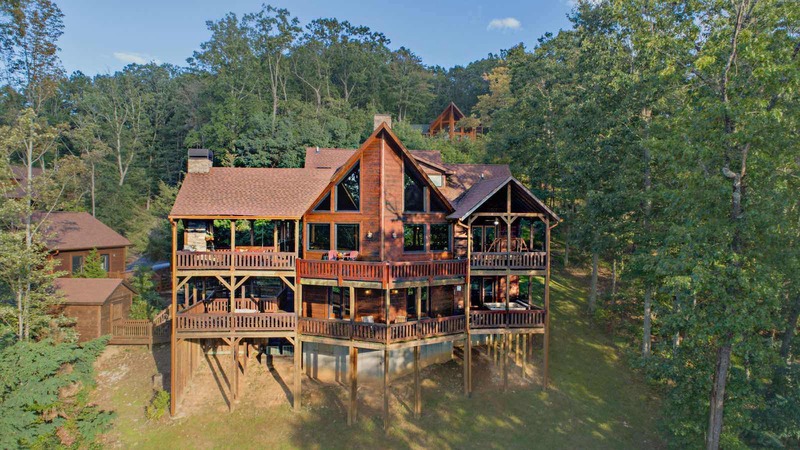 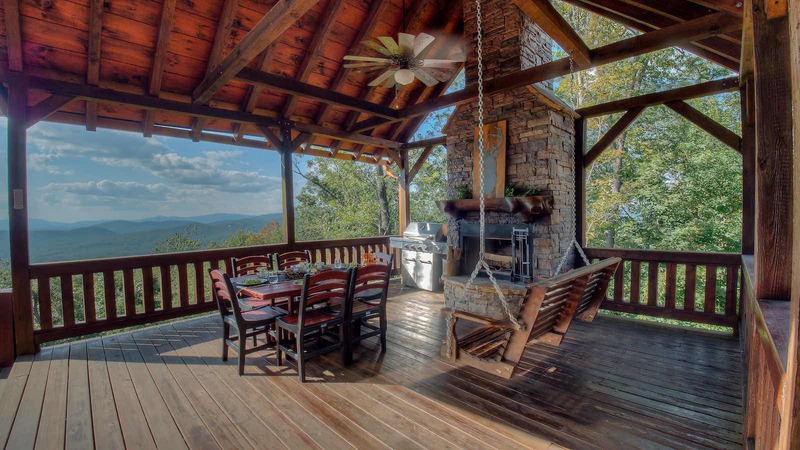 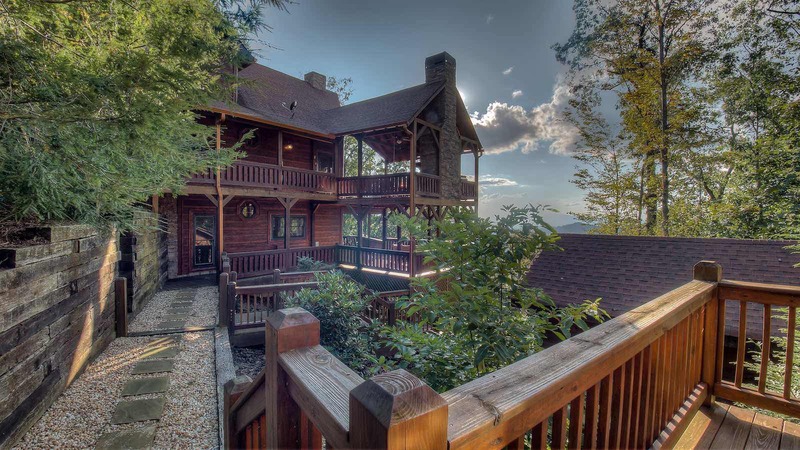 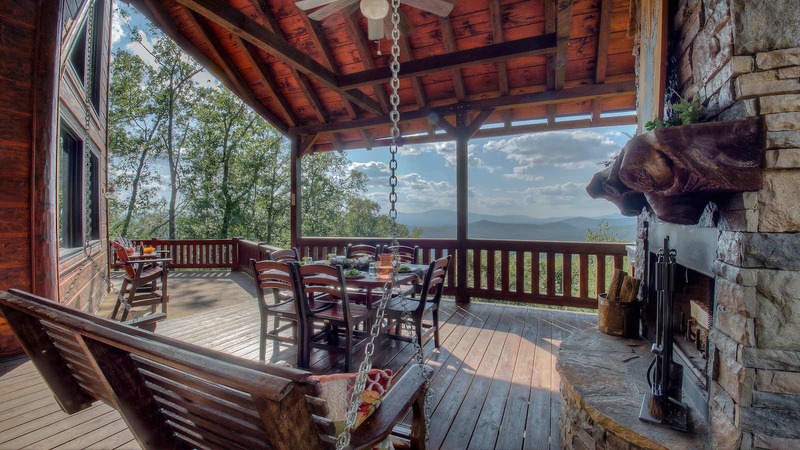 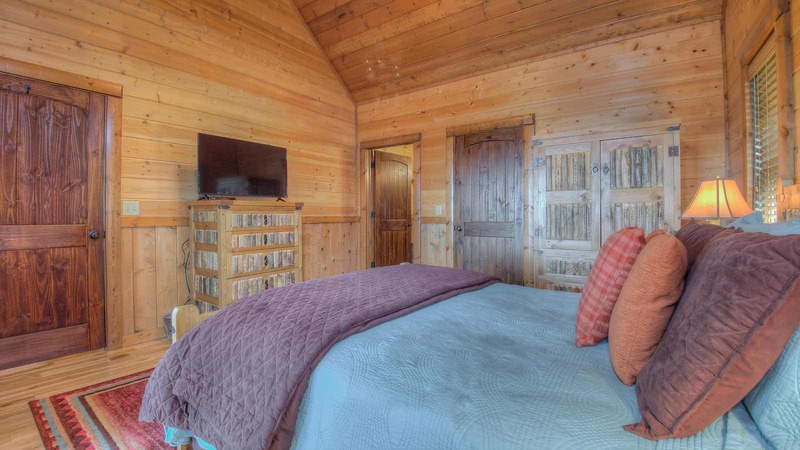 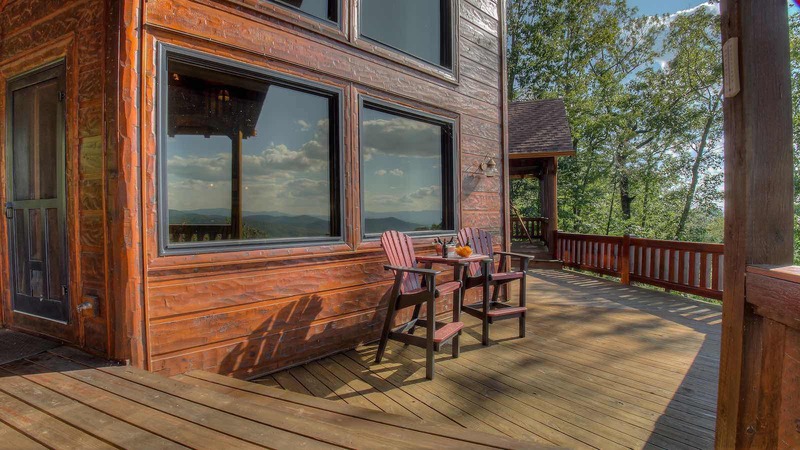 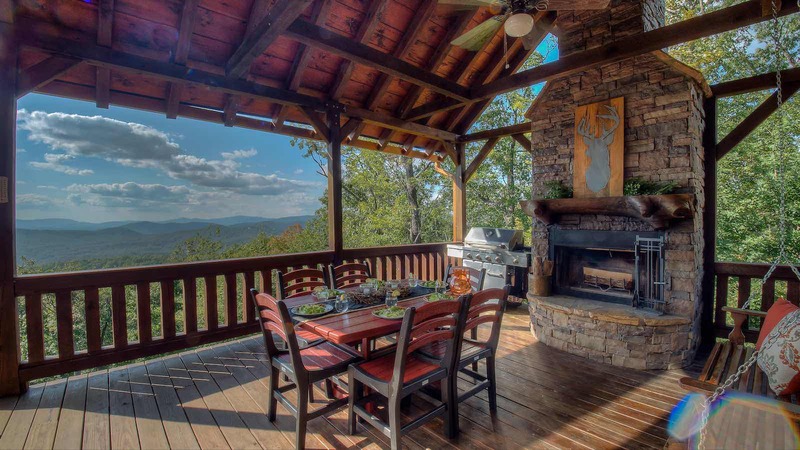 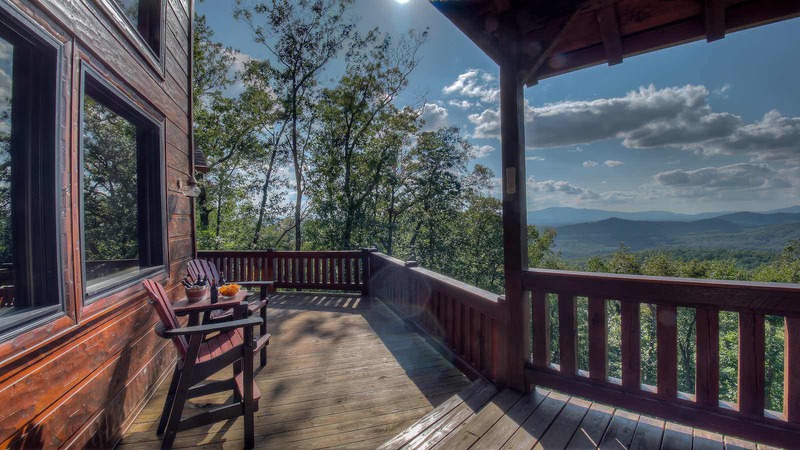 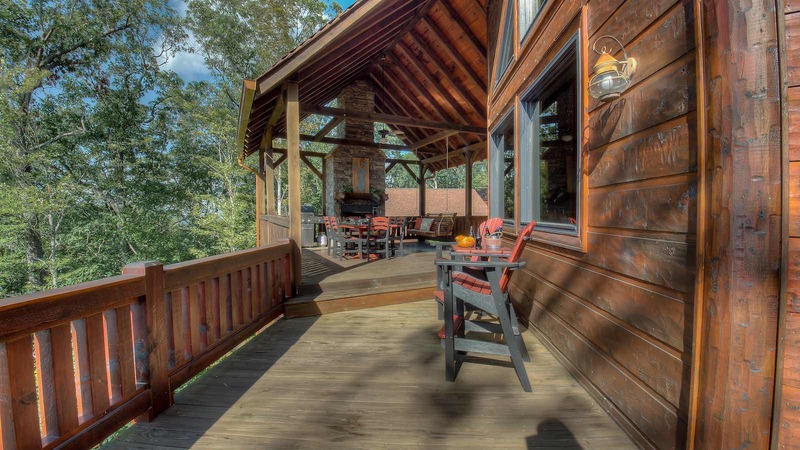 This luxurious year round mountain view cabin offers an two levels of decks facing the mountains for enjoying the outdoors as well as unique wood textures, finishes and one-of-a-kind touches inside you'll love. 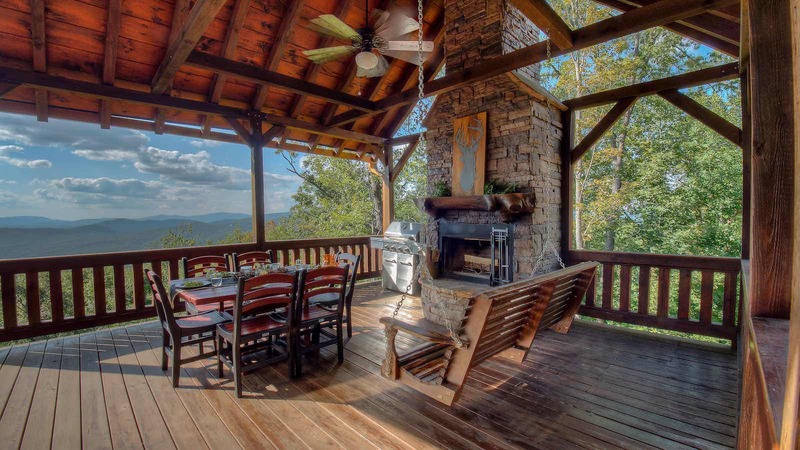 The main level deck has a huge floor to ceiling wood burning fireplace and partial opened deck to enjoy the view from sunrise to sunset. 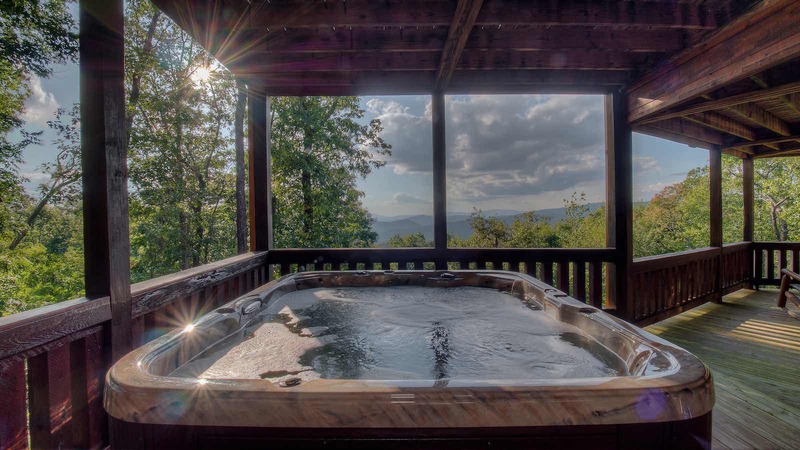 Or, stay out later for a beautiful night sky of the stars! 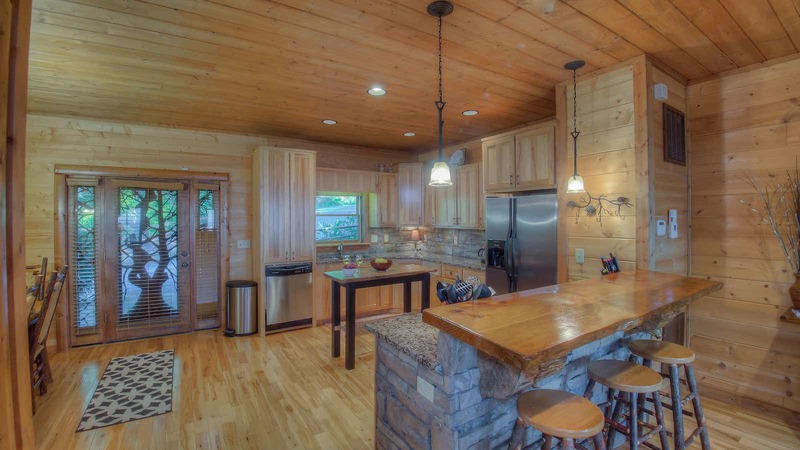 After opening the one-of-a-kind hand craved door inside the main level, you'll find a spacious kitchen with stainless steel appliances, granite countertops, and a dining table for 6 guests. 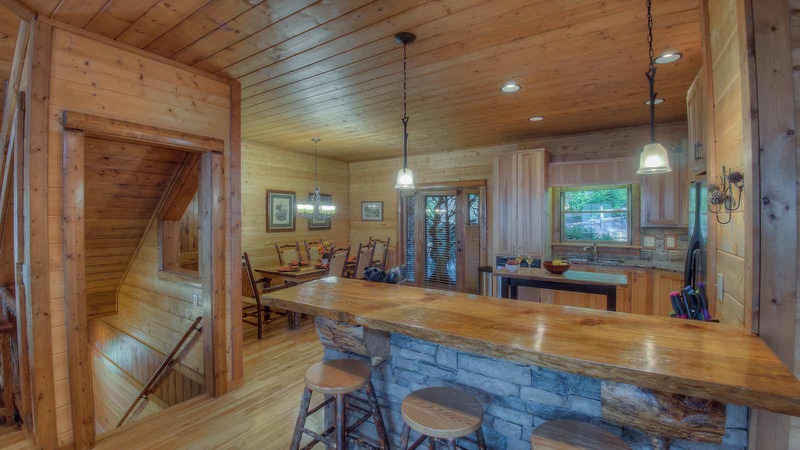 The stone kitchen bar seats an additional 4 - 5 guests. 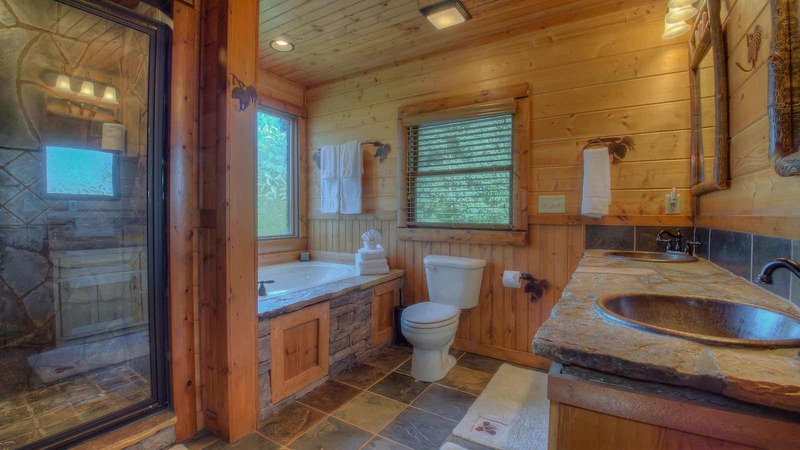 There is half bath powder room with a washer and dryer near the kitchen too. 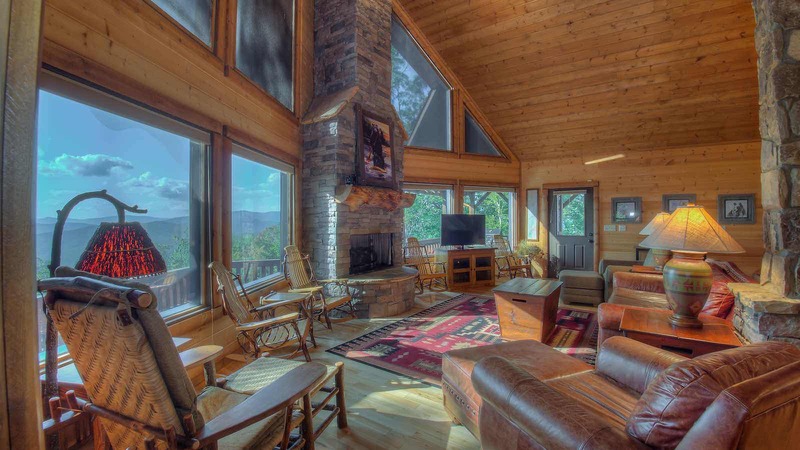 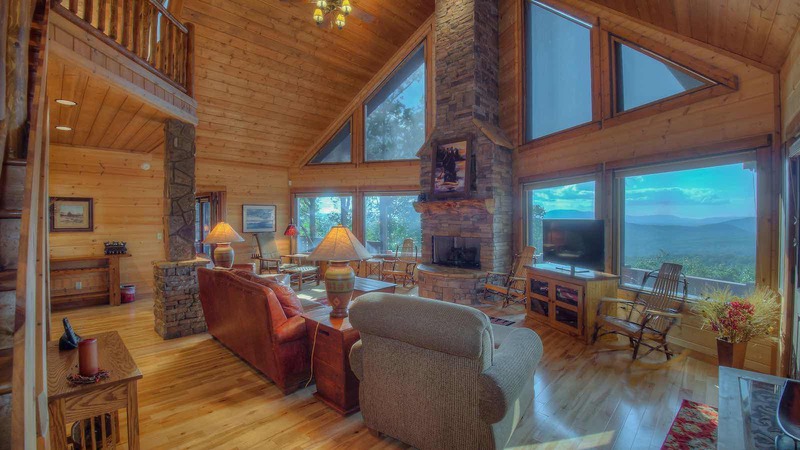 The great room boasts a large floor to ceiling stone gas log fireplace, flat screen tv, ample seating, and large glass windows for those mountains you can't get enough of. 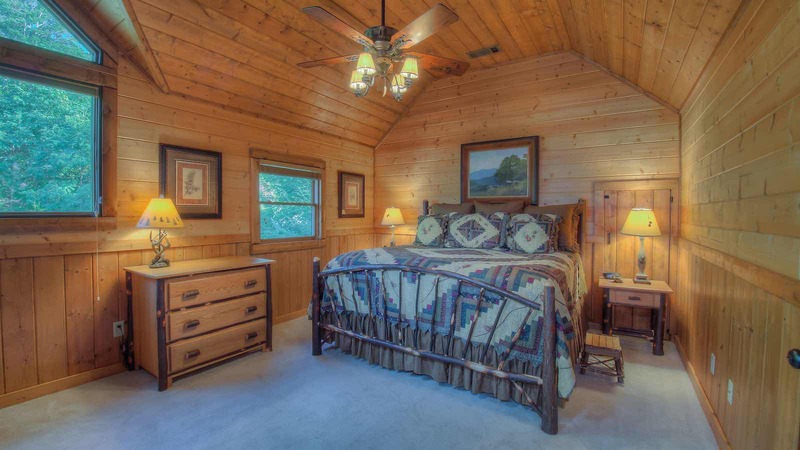 Just off the greatroom is the main level bedroom with a Queen size bed, a flat screen tv, and its own bathroom. 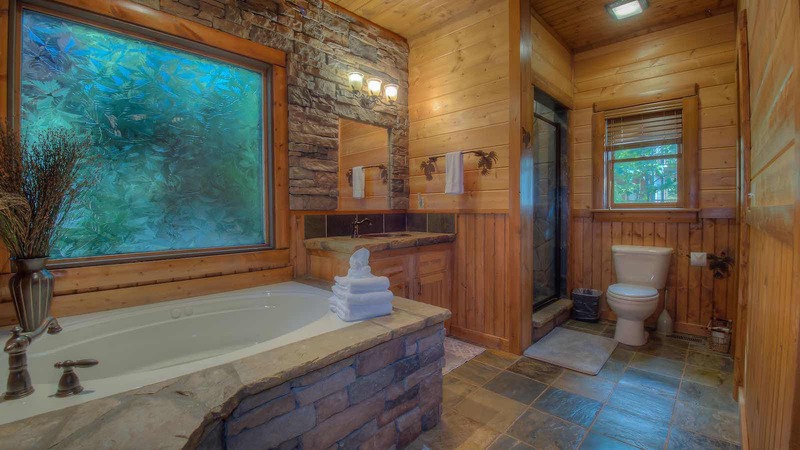 This bathroom has a gorgeous stone/tile shower, a garden tub surronded by a wall of stone, and soft lighting for a spa-like atmosphere. 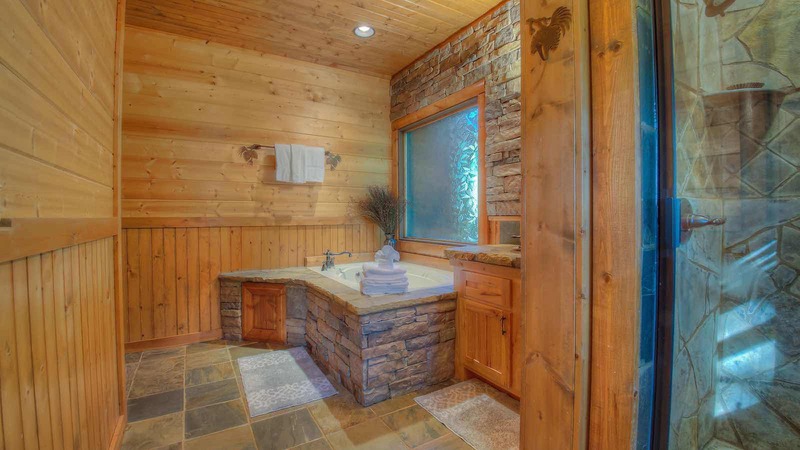 Even the vanity is stone with a copper sink! 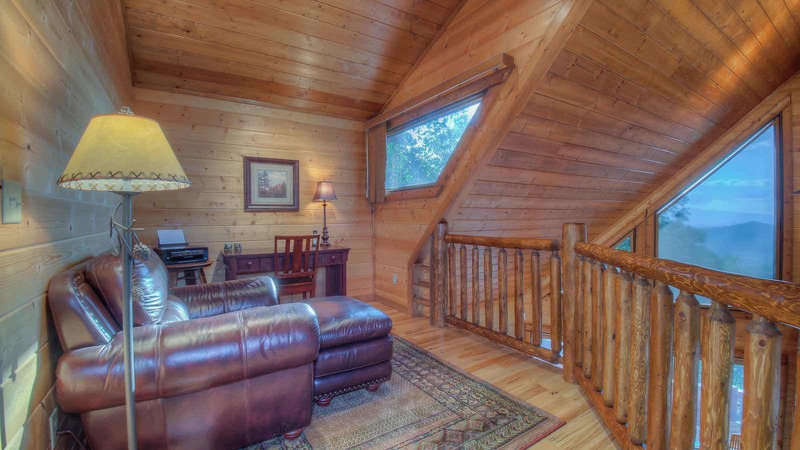 Up the log stair case, you'll see the handy loft which has a desk and printer and cozy seating. 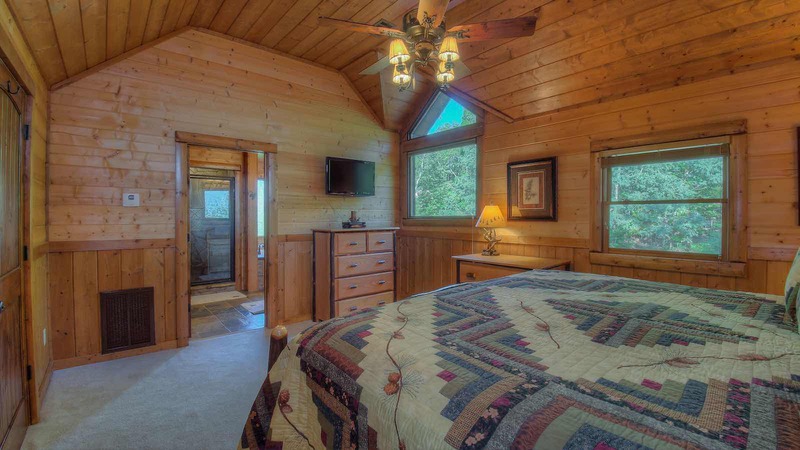 Here you will enter the masterbedroom, which has a big King size bed, flat screen TV, and its own gorgeous stone bathroom like the main level. 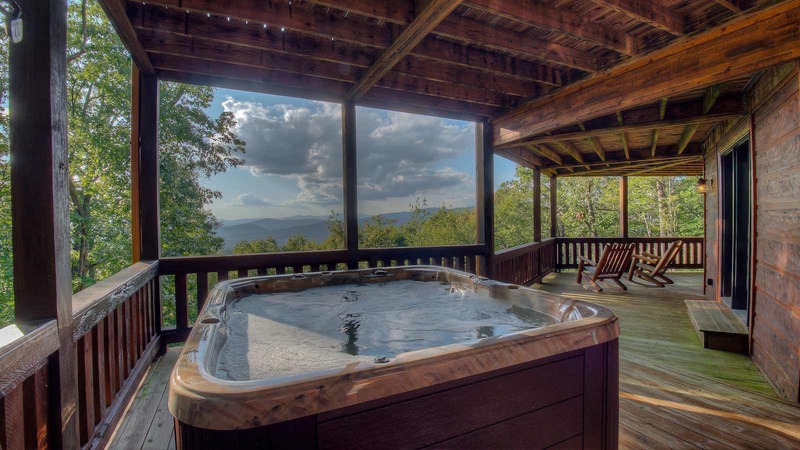 You'll enjoy the relaxing spa like feel of the tile/stone shower, garden tub surrounded by stone and stone vanity with copper sink. 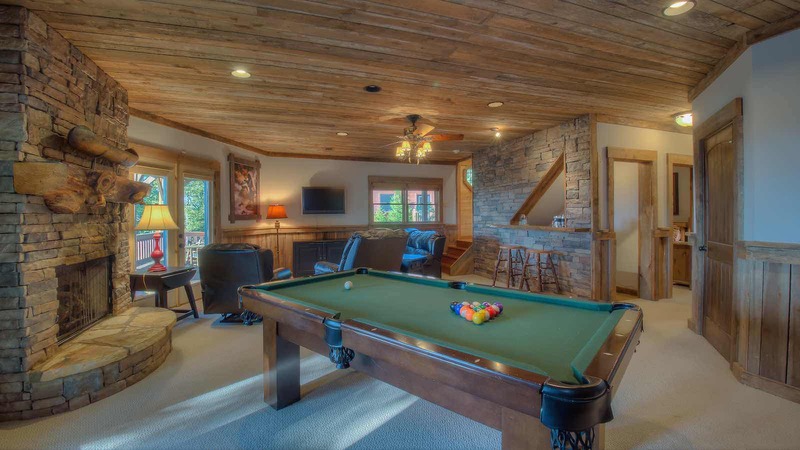 The gameroom level is perfect for enjoying your guests or just chilling out. 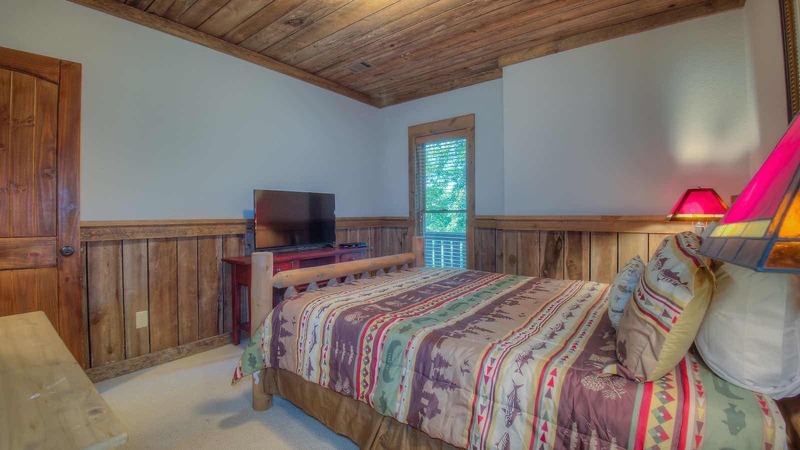 This level has a pool table, wet bar with mini fridge and microwave, cozy seating around the flat screen TV, stone gas log fireplace, and two other bedrooms plus a bathroom. 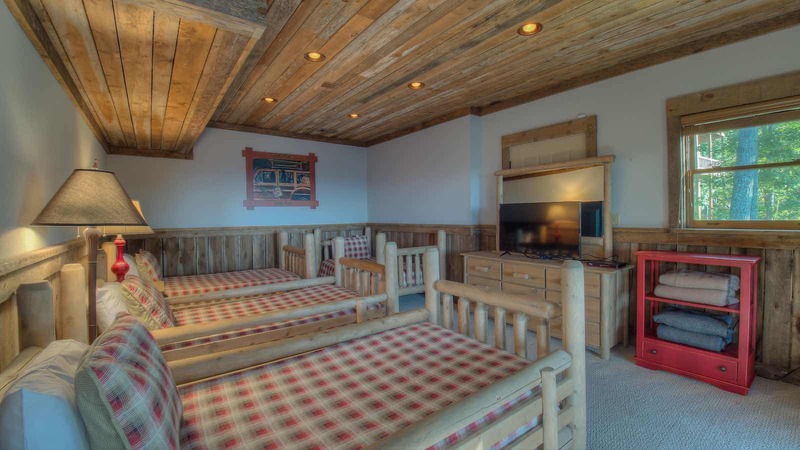 One bedroom has a flat screen TV and Queen size bed, and the other bedroom has four individual twin size beds and a flat screen TV. 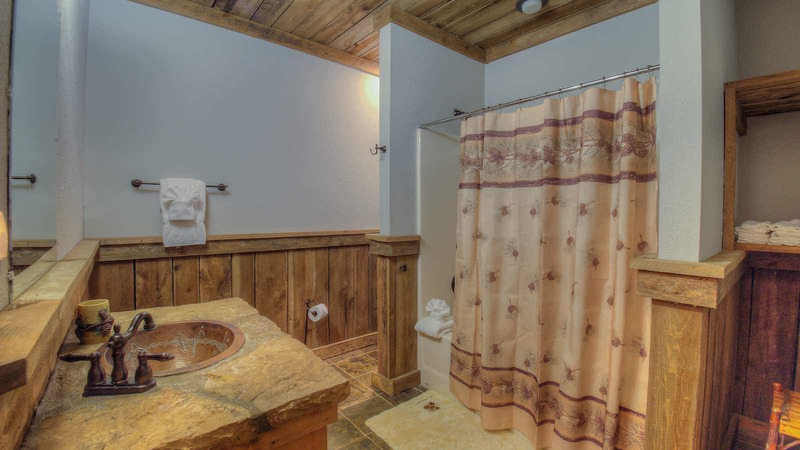 This level also has stone vanity with a copper sink and a standard shower/tub combo. 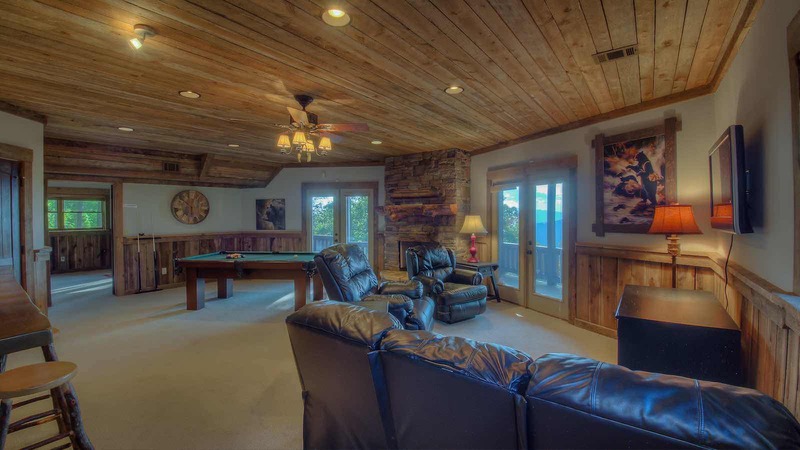 Just outside the gameroom level is the hot tub and even more deck space for taking in those mountain views. 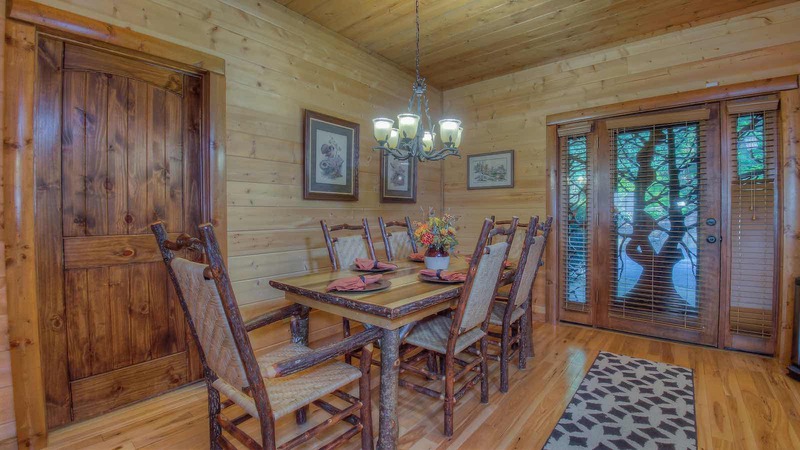 Scenic Solitude has everything you need to enjoy a relaxing, luxurious, easy vacation! 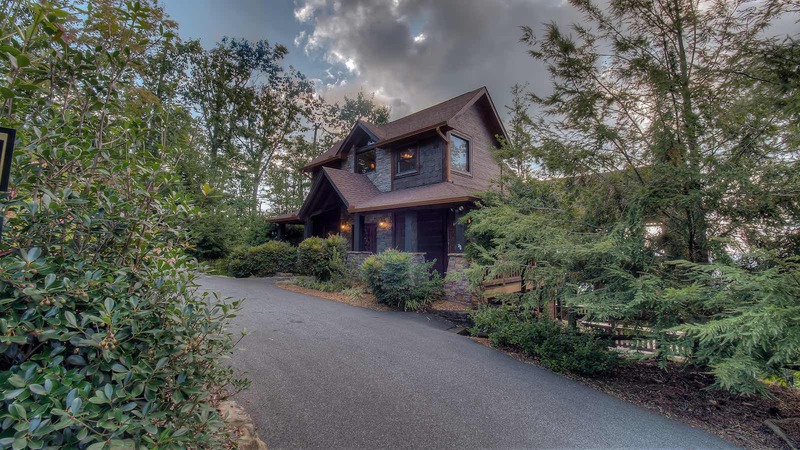 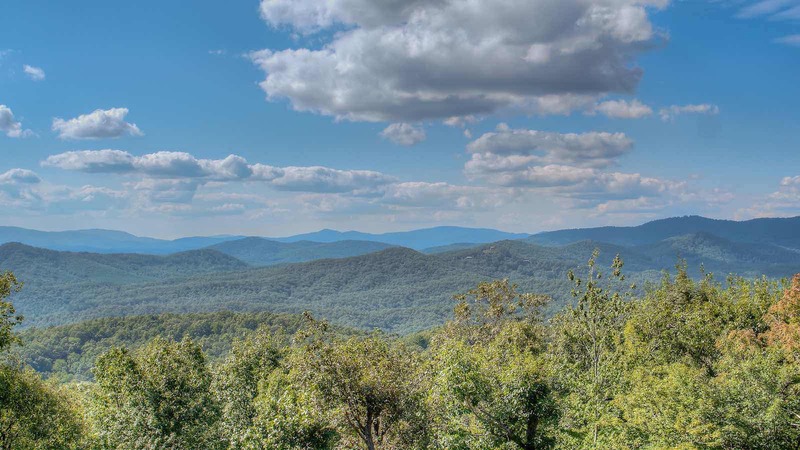 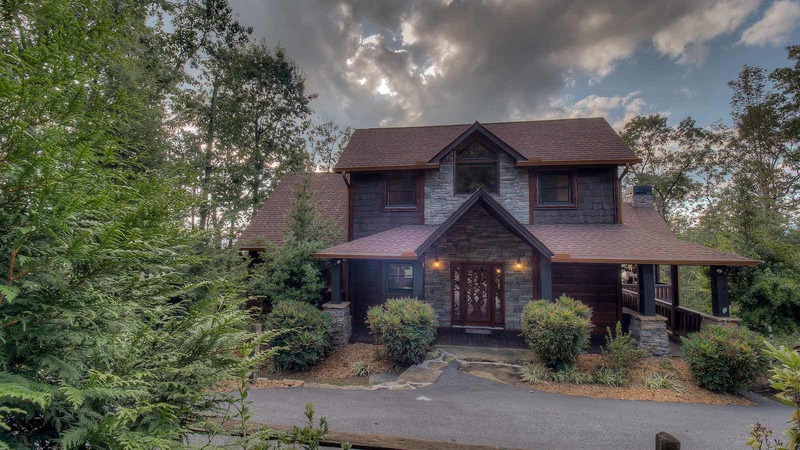 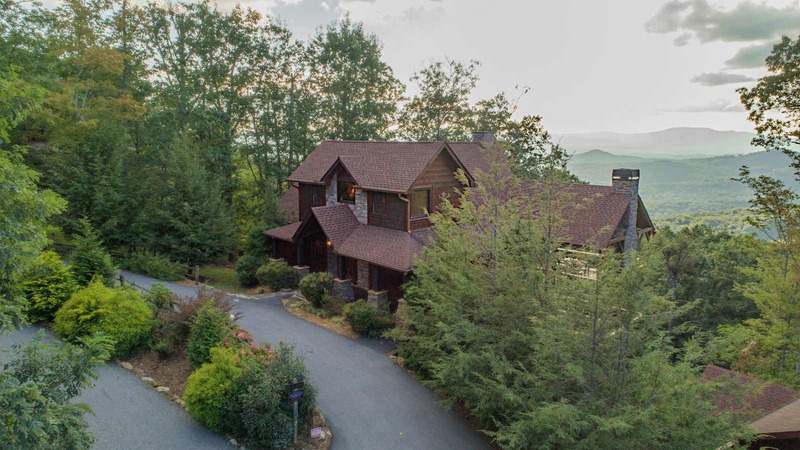 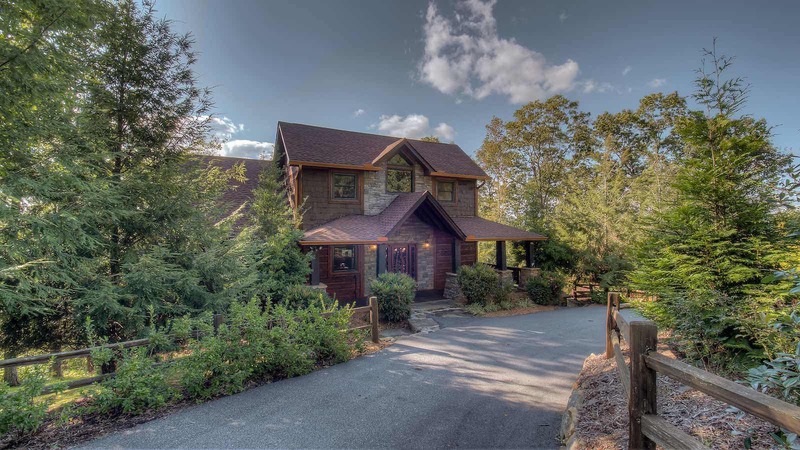 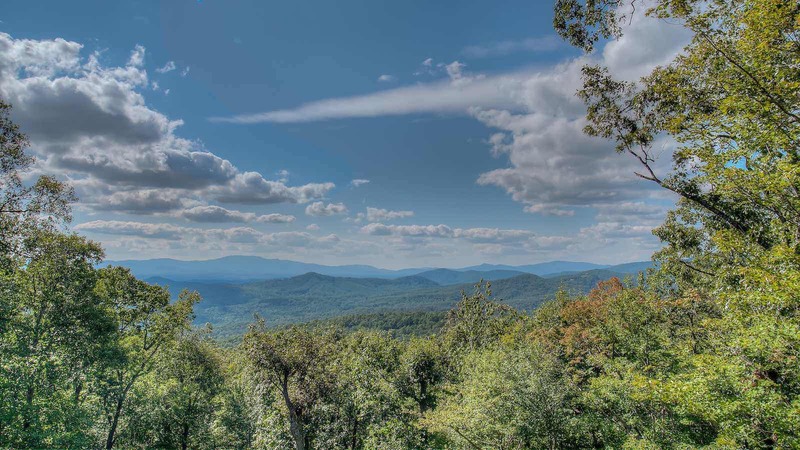 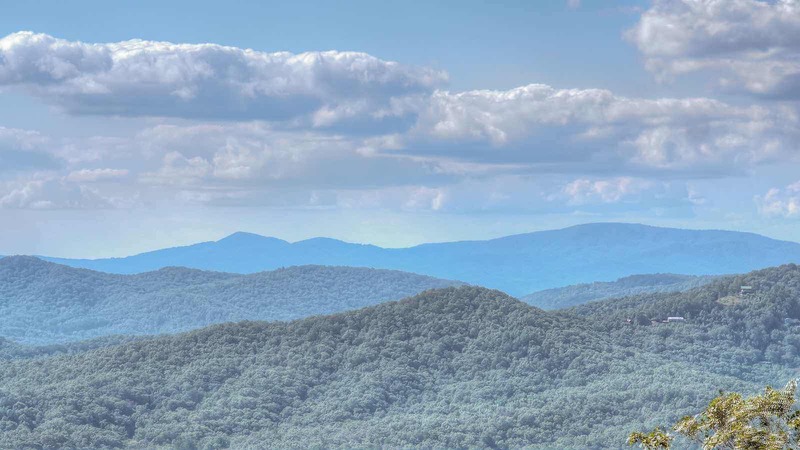 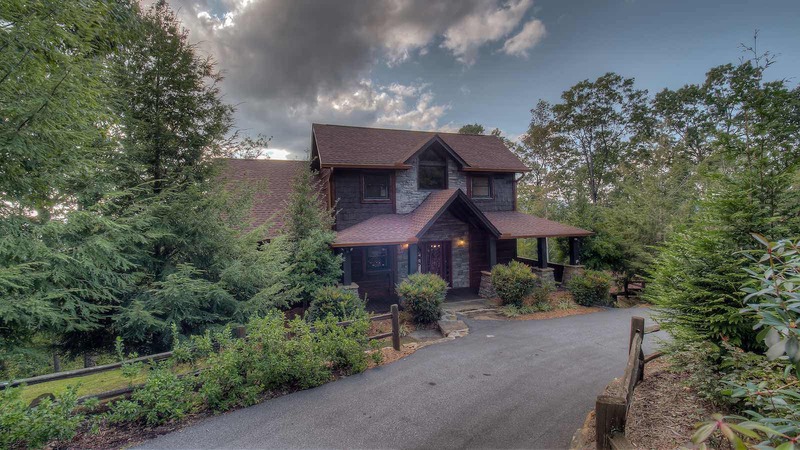 This property is only 25 minutes from Downtown Blue Ridge's shops and restaurants with those 'high elevation" views all while being on all paved access!